Ochsenfurter Kauzen-Bräu, which has been under private ownership since 1809, is among the most modern of the medium-sized breweries. In 2008, Ochsenfurter Kauzen-Bräu was awarded Gold for the sixth time in the prize ceremony in the “Prize for the Best” by the German Agricultural Society (Deutsche Landwirtschafts-Gesellschaft – DLG) for excellent quality. 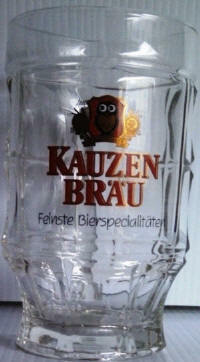 Ochsenfurter Kauzen-Bräu has been a member of the German Brewing Cooperation (Deutsche Brau-Kooperation) and the Free Brewers (Freie Brauer) since 1.8.1972, as well as of the Mainfranken Beer Society. The Brewery has been a founding member of the Bavarian Brewers Federation (Bayerischer Brauerbund) since 1880.